Gemmah Cooper-Smith is one of the amazing Support Workers that help our clients to go about their everyday lives. 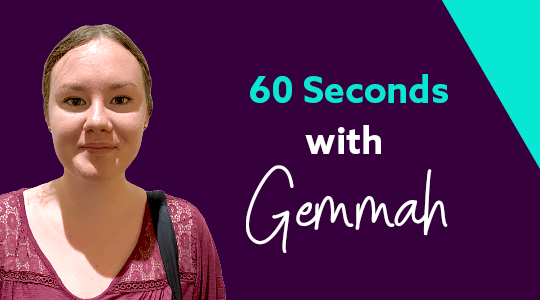 We’re always interested in learning more about what makes these selfless and caring people tick, so without further ado – here’s more about Gemmah! I’ve been working at Zest for around four months. My family, and knowing that I am going to be making a difference to someone’s day. Completing my Certificate 3 in Aged Care. Each day is always different. I get up, do my daily tasks, go to work and try my best and strive to provide the best care that I can. Seeing my clients and interacting with them on a daily basis. My sister Kiera, she’s my hero. “Just because it is, doesn’t mean it should be” – The movie Australia. What is your favourite thing about working at Zest? The friendly and understanding staff and the clients I get to see every day.